Cultivated throughout the world. China (cultivated throughout China), India, Pakistan. Found in disturbed areas, woodland margins, fencerows, dry to moist thickets; 0-1500 m.
Chubu (Nagano prefecture), Shikoku (Tokushima prefecture). Morus alba is a deciduous tree (persistent in some tropical regions) that can reach 20 meters high. Its growth is rapid when the tree is young and then it slows down. It is propagated by cuttings. Flowering occurs from spring to summer. Quite hardy, it tolerates drought. It produces a latex and its fruits are edible. Fruits, roots and bark of Morus alba are used in traditional medicine, the root bark has deworming properties. The roots, leaves and bark are used for dyeing. The leaves contain rutin (flavonols); wood and bark contain various flavones (mulberrol, mulberrochromène, cyclomulberrol, etc. The bark yields papermaking fibers and textile fibers. Morus alba has been widely cultivated from India, Afghanistan and Iran to South of Europe to serve as food for silkworms for a thousand years. It is now cultivated worldwide. Originally endemic to northern China, it is now grown throughout China. 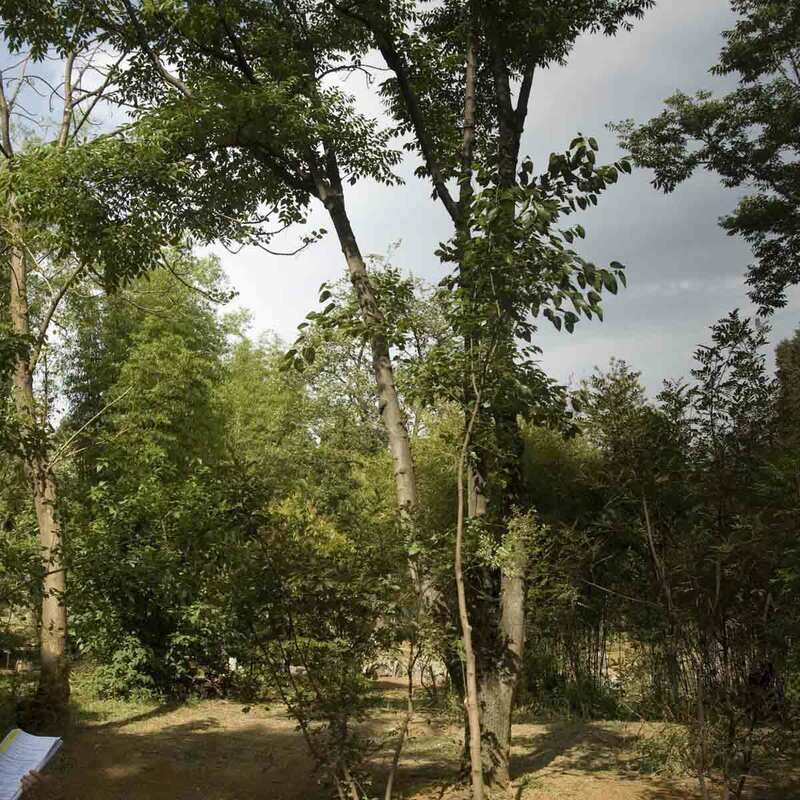 The traditional tree is planted for the cultivation of silkworms especially in the provinces of Zhejiang and Jiansu. This culture began in China over four thousand years ago. There is confusion about the nature of the various shrubs providing barks in the Moraceae family. 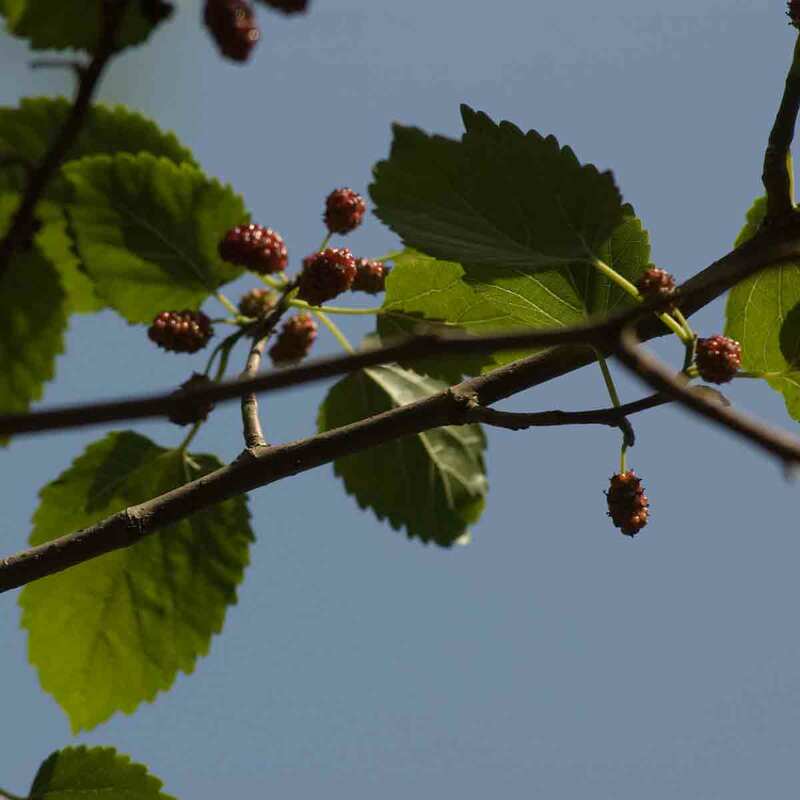 The three words for mulberry in China (Ku Chou Kou) were mixed up because their pronunciation is very close and the appearance of the shrubs is similar. The various Chinese sources show that the bark of Morus alba and Broussonetia papyrifera were both used in the manufacture of paper. The bark of Morus Alba has a wrinkled surface; the fibers are long and very difficult to separate. Therefore, the raw material takes longer to prepare than Broussonetia papyrifera and Broussonetia kazinoki. That is may be why the bark of these last ones have been used more. According to Pan Jixing, the fibers are used in the manufacture of paper since the Wei dynasty (220-265). The white mulberry paper is very common as writing carrier under the Jin (265-420) and the Tang (618-907). Many Dunhuang manuscripts were papers made with chu bark. In the Ming Dynasty (1368-1644) history, it is specified that mulberry (sang pi) gives fibers (sang jang), a greenish material, for money paper. This paper thick and smooth, is produced in Zhejiang as it is used by silk producers to keep the eggs of silkworms. The area around Omachi city (Nagano Prefecture - Chubu) was a large production area of mulberry paper because it was one of the largest growing areas of silkworms. Papermakers used to make various kinds of papers related to sericulture production (bags for the growth of cocoons, carriers for eggs). It is used in combination with the paper mulberry during the years when the harvest of the latter is not good. The bark is used in mixture with paper mulberry fibers during the Joseon period (1392-1910). The roots are used as yellow dye. Harvesting takes place in the spring. The bark is directly peeled from the wood or the branches are put in bundles for steaming. The peeling of the bark is done after steaming or cooking in boiling water inside a closed tank. The bark can then either be dried in the sun or to ferment. In the first case, the impurities are removed by an alkaline cooking (ash lye) that can last several days. If the fermentation process is used, the barks are immersed in water to ferment for several days. They are then rinsed and brown bark is scraped with a knife. They are then immersed in lime for several weeks. The operation is followed by further rinsing. Bleaching is carried out by exposing the bark to the sun with water spraying for 7 to 11 weeks. The bark is then crushed by various methods: in a mortar with a pestle or with a trip hammer (foot hammer or hammer with cams activated by water power) on a stone or beaten with mallets or wooden sticks or crushed in a grinder moved by an animal. Before making the sheets, a dispersing agent is added to the pulp which is brewed. Sheet forming uses several methods: bailing in one or several scoops depending on the desired thickness. The sheets are couched in a pile before being put under weight or in press during one night. They are then brushed on a heated or not heated wall to dry. Harvesting begins when the leaves have fallen in November, December. The branches are cut into equal pieces of one meter in length to form bundles. These bundles are placed in an oven for two to three hours to facilitate the peeling of the bark. The bark at this stage is called "black bark" because of its outside layer to be removed before ensiling. It is scraped with a knife. The bark is then rinsed and allowed to dry on rack. The bark is ready to make paper after two or three years of storage. Before cooking the bark can be bleached: it is exposed to sunlight in the cold water of a river or on the snow. Cooking in an alkaline solution allows the removal of lignin, pectins, gums and waxes, which would block the separation of fibers during the beating. Alcaline solutions are either wood ash or alkaline chemicals (sodium hydroxide or lime). Cooking lasts about two hours but the duration varies depending on the age of the bark and the alkali used. After cooking the barks are rinsed to remove alkali residues. 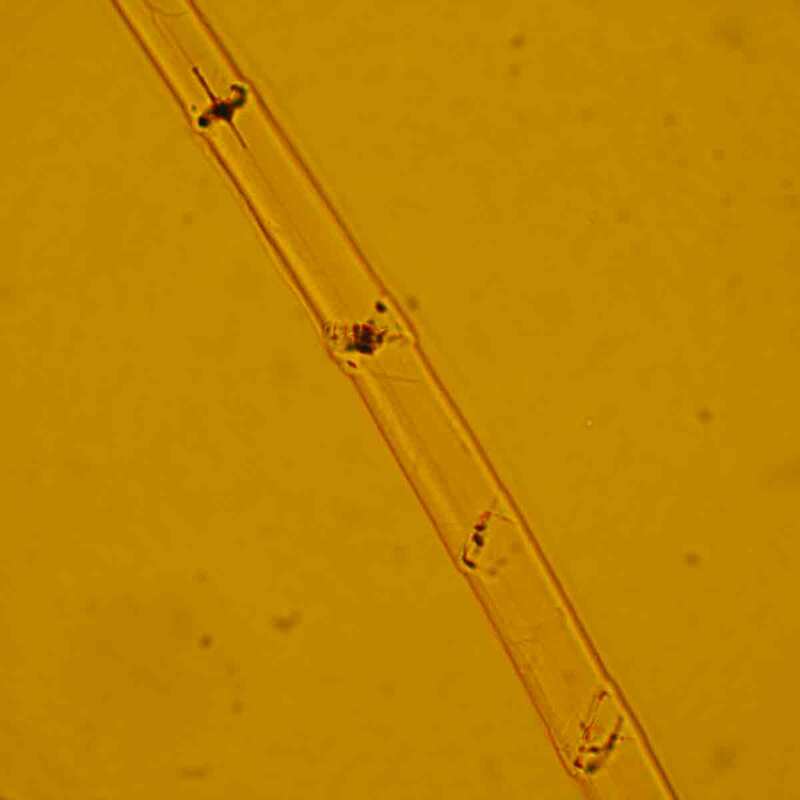 Removing of foreign particles is done by hands in cold water. The pulp is then beaten manually with mallets or sticks, or in the Japanese hollander, the naginata. The pulp is poured into a wooden vat already filled with water and the dispersing agent is added to the paste which is whipped using a wooden rake. Two methods are used to make the sheet: nagashizuki or tamezuki. In the tamezuki method the amount of needed pulp is taken at once to form the sheet. In the nagashizuki method the sheet is made by superimposing layers of fibers successively until the desired thickness. The sheets are laid one by one on a board equipped with marks, with or without spacer (thread, stems) for better separation after pressing. The pressing is done by placing the paper stack under load or in a lever press. The pressing is done at the end of the workday, it lasts usually one night. To make them dry, the sheets are brushed on wooden boards which will be placed outdoors or indoors. Currently heated metal plates are also used. Finally, the sheets are sorted and usually trimmed with a knife using a template.